Winter is the best time to visit the Karoo. The days are crisp and cool, and in the evenings temperatures drop way down so that there is nothing to do but snuggle up in front of the fire, glass of red in hand. A little while back we were invited by Cape Country Routes to visit Oudtshoorn, a beautiful town at the heart of the Klein Karoo. Oudtshoorn is probably known to most of you as the home of the KKNK, the annual arts festival. 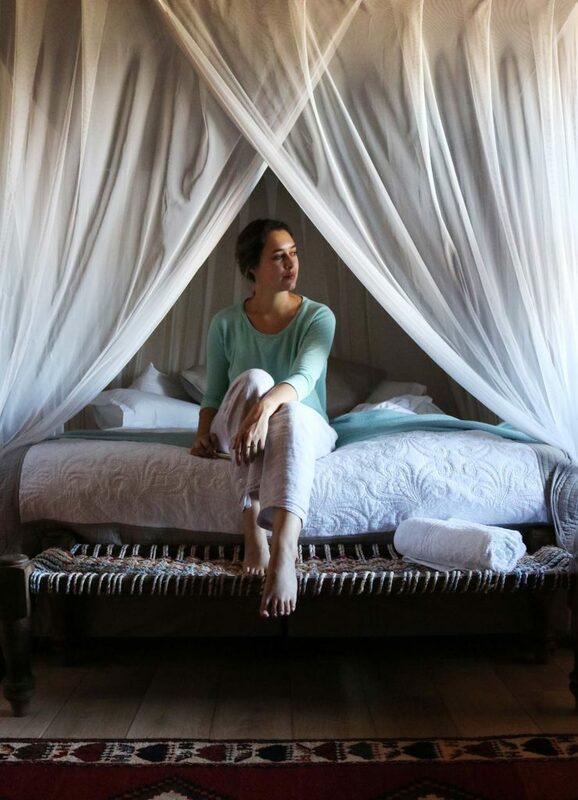 When it is not beset by sokkie bokkie musician, playwrights and actors, however, it is a quaint, historic gem and an ideal home-base to explore the area. On our first night we stayed at Wildehondekloof. This 4000-hectare game lodge was recently bought over by the owners of De Zeekoe and they are planning to transform it into a peaceful retreat. Wildehondekloof is right in the middle of nowhere. You drive past the Cango Caves, past Kobus se Gat and then you keep going on a dirt road for about another 30 minutes before you reach the gates of the game reserve. From here it’s another 5km or so until you arrive at the lodge. We got there just as the sun was dipping behind the mountains and were welcomed by a herd of Nyala grazing calmly in front of the lodge. It felt as though we had entered a completely different reality and it was magical to sit on the porch as the evening settled in, sipping a glass of wine and watching more Nyala and Kudu strolling into the clearing. 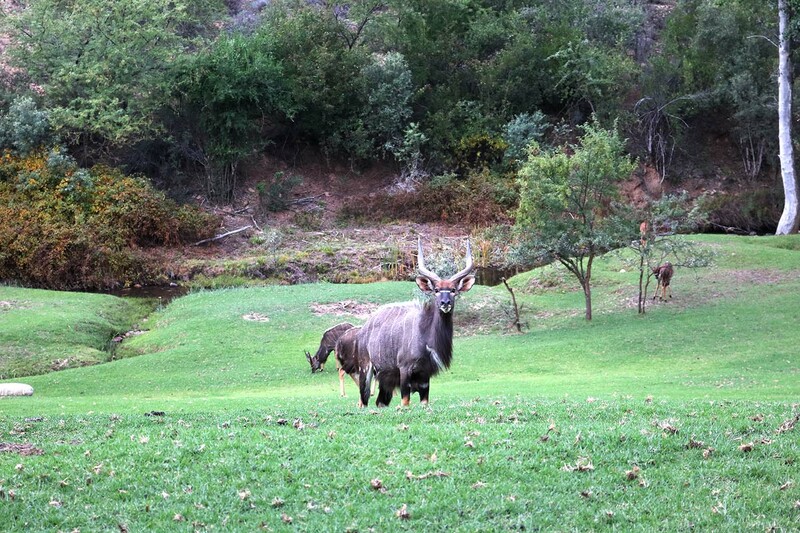 I am incredibly excited to see Wildehondekloof once the renovations have been completed. With a nice selection of wildlife, walking trails and incredible surrounds, it is the perfect place to go if you need to escape life for a beat. The next morning we made our way to De Zeekoe which is just outside Oudtshoorn, surrounded by wetlands, lusern farmlands and large flower zones. They are just far enough from the town’s hustle so that you can escape completely if you wanted to, but it is a quick and easy drive into Oudtshoorn if you feel like exploring. De Zeekoe offers really gorgeous accommodation options, from a selection of rooms overlooking the river, to private cabins and cottages a little way off. We stayed in a cottage, a stone building with a stoep overlooking the Karoo vlaktes and farmlands where you can easily spend a whole day with a good book. Inside you have a cosy living room with a fireplace, a nice little kitchen, and a dreamy bedroom with a four poster bed fit for a princess. If I could, I would have stayed there for a week! I can definitely recommend De Zeekoe. The service was brilliant, we had all the comforts we needed for a lovely stay, and the next morning we were treated to a delicious breakfast complete with freshly baked farm bread. They also offer a nice selection of activities for nature lovers. If you’re an early bird you can join their wild meerkat tours where you can see these little critters in their natural habitat. You can also go hiking, biking (they have cycles to rent), canoeing (in the rainy season) and you can join one of their private star gazing evening tours to really take in the mind blowing night skies of the Karoo. To be honest, I think you should do as little as possible when visiting the Karoo. It is the perfect place to slow down completely, and to reconnect with the peace and calm of nature. That being said, you’re on the doorstep of some incredible natural wonders like the Cango Caves and the Swarberg Mountains so you should spend at least a day exploring the area. It is worth taking a day out to Kobus se Gat, where they offer Karoo tours and proper South African comfort food (their roosterkoek is famous for a reason!). 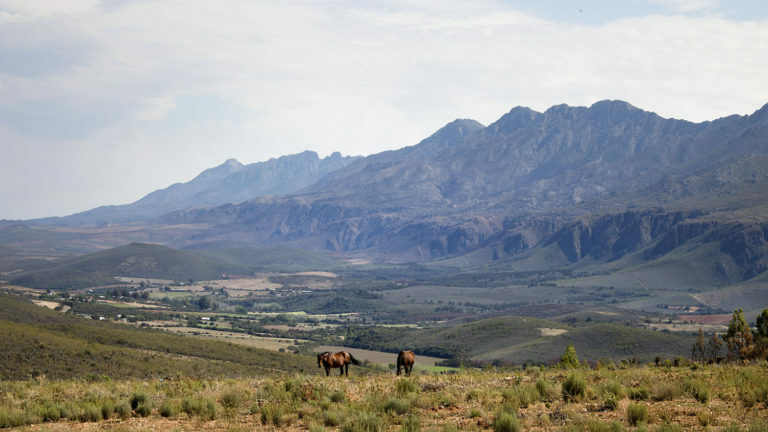 Kobus se Gat is located just past the Cango Caves and at the foot of the Swartberg mountains. You can join them for a day tour through the Swartberg Mountain Pass (a UNESCO world heritage site), De Rust, Prince Albert, and Oudtshoorn. It is a stunning way to explore the area. Unfortunately we were too late for their tour but we joined them for a proper braai lunch like you’d get at mom’s house. You can either go for the buffet or order from their a la carte menu, and it is absolutely worth heading out there just to see the views. I can’t wait for my next visit to the area. 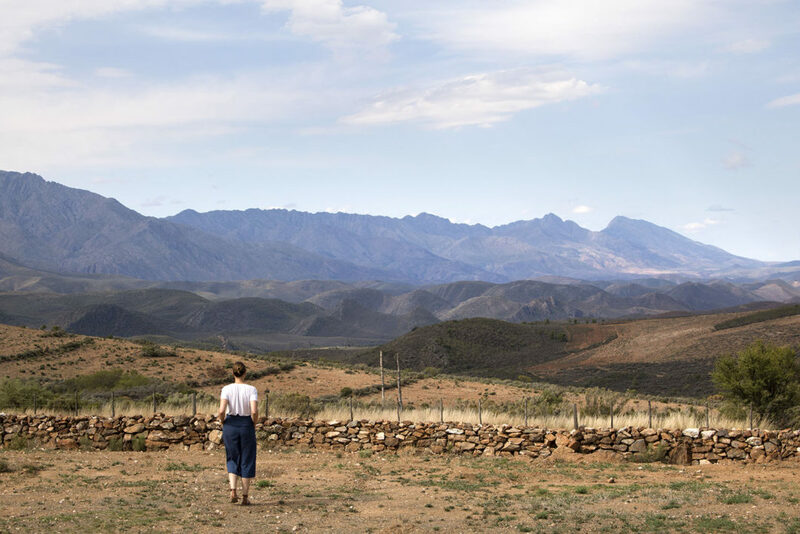 There is something magical about the Karoo, and if you need to take a break from reality, this is where you go. If you are heading up to the Klein Karoo soon, make sure you take the scenic Route 62. You can read all about our road trip up over HERE. Do you have any spots close to Oudtshoorn that you can recommend? Pop you suggestions in the comments below, I would love to hear from you.